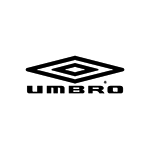 Umbro Speciali 4 men's football boots are made of synthetic leather upper for enjoying comfort, lightness and excellent ball touch. The cut EVA sockliner reduces stud pressure. Incorporating low density hollow studs made of thermoplastic polyurethane. Branding throughout.